Discover the other side of Bali. 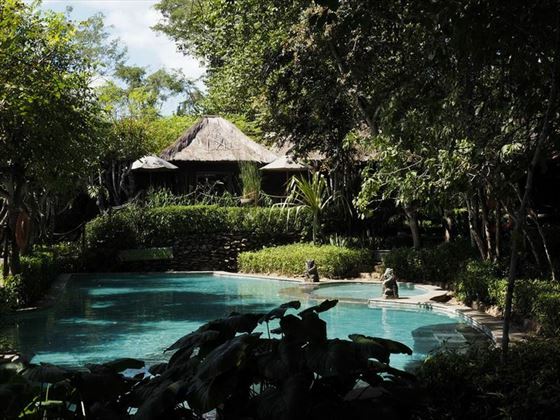 The Menjangan Resort offers you a unique chance to experience the natural treasures within the Bali Barat National Park, near Menjangan Island. 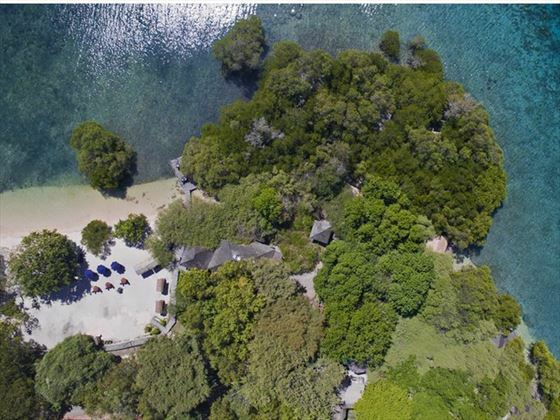 Set amidst 382 hectares; experience Menjangan Resort from the forest to the mangrove to the coral reef. Each accommodation option offered promises a different experience, choose to be on the water’s edge, nestled in the heart of the forest or perched on a cliff overlooking the sea. 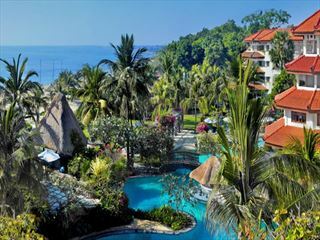 Experience the beauty of Menjangan Resort with one of the many activities. Kayak through our secret mangrove maze. Dive or snorkel on one of the most beautiful coral reefs in Bali. Venture through the forest on horseback. Personalised service, warmth and hospitality make Menjangan Resort the first choice for an adventure in Bali. Come and discover the other side of Bali. 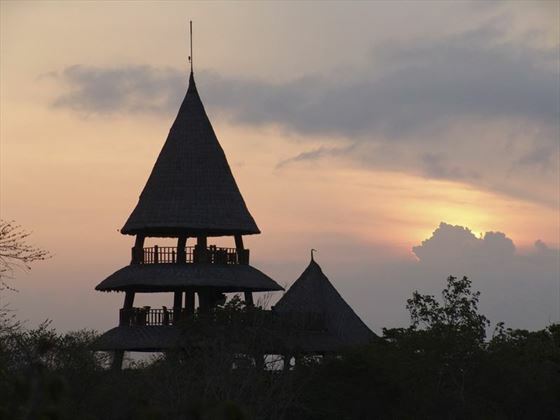 The Menjangan Resort is spread over a large 382 hectares in the far Northern West of Bali, allowing you plenty of space to feel the peace and tranquillity you will experience here. The resort hosts three safari-style minibuses with open air roofs to transfer guests from one area of the resort to another, complete with spotlights for any impromptu animal sightings after dark! To reach the Menjangan Resort you will take a private transfer taking approximately 3.5 - 4 hours from Ubud or Sanur. 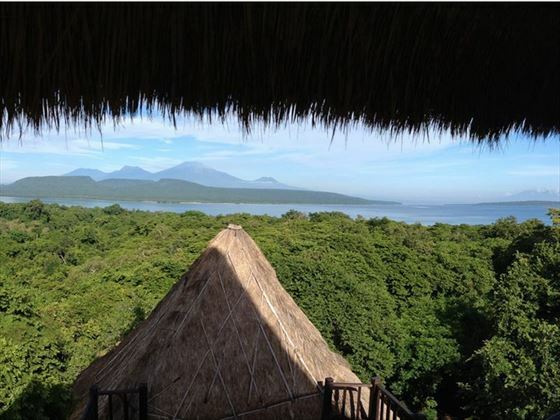 The Monsoon Lodge is a true retreat in the heart of the Bali Barat National Park. The rooms are set around an idyllic pool and Jacuzzi. 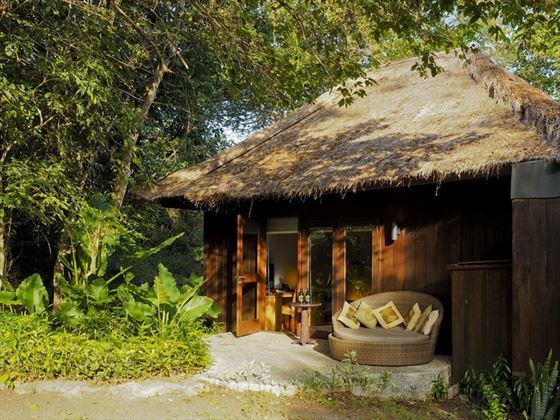 Surrounded by trees, the Monsoon Lodges attracts birds, deer and other wildlife. Enjoy all that nature has to offer without relinquishing luxury and comfort. 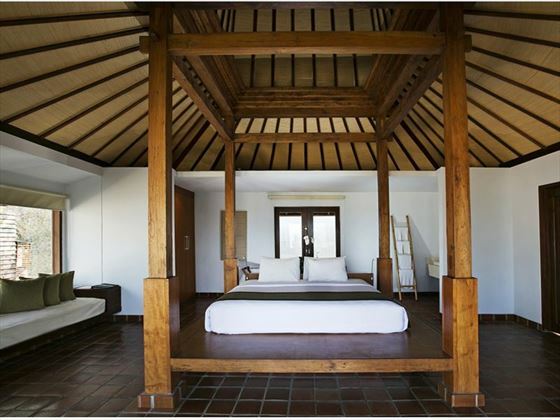 The 14 Deluxe Rooms are spacious with wooden floors, air conditioning, en-suite bathrooms and traditional alang-alang grass roofing crafted in natural stone with unique naturally sourced bath amenities. Two larger Suites have private wooden decks and lovely antique furniture. The Monsoon Lodge services include a 24 hour concierge, room service from 07:00 to 23:00, full air-conditioning and complimentary Wireless Internet. Room rates include a full gourmet breakfast. Stay in a Beach Villas and enjoy a return to nature. 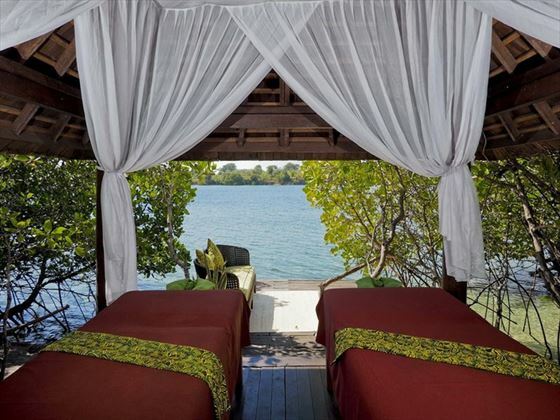 Nestled in the protected mangroves, each bedroom opens on to a private terrace with sea views across the bay. Wake up to the sun rising straight ahead of you, the coral reef shallows just beneath you and the dense mangroves all around. Lounge on your private terrace for the day or lower yourself into the turquoise shallows and snorkel the reef. Beach Villas are 100 sq m and have open-air en-suite bathrooms and air conditioning. 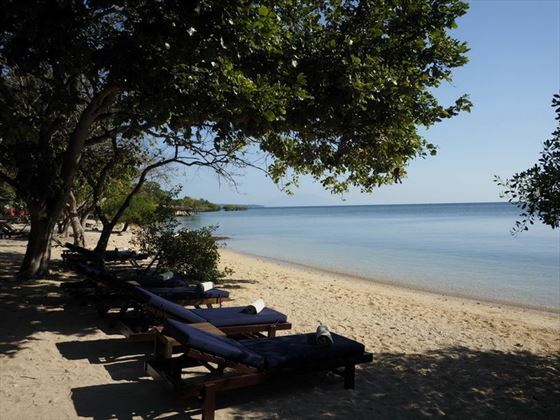 A short stroll brings you to our private beach with day beds and sun loungers for your relaxation. Light meals and drinks are available from our beach side bar. Fresh juices during the day, and great cocktails in the evening. The bar is an ideal space to relax and watch the sunset. The Beach Villas are the first choice for those that love being near the water and surrounded by nature. Designed to showcase the best of the forest and the sea, The Residence offers magnificent panoramic sea views from every room and the ultimate experience in private luxury within the Bali Barat National Park. 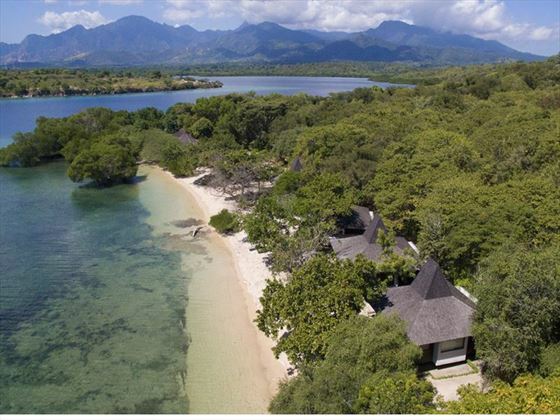 The villa comprises of a series of thatched pavilions which house two double and one twin bedroom, each with its own en-suite bathroom and private balcony overlooking the sea. 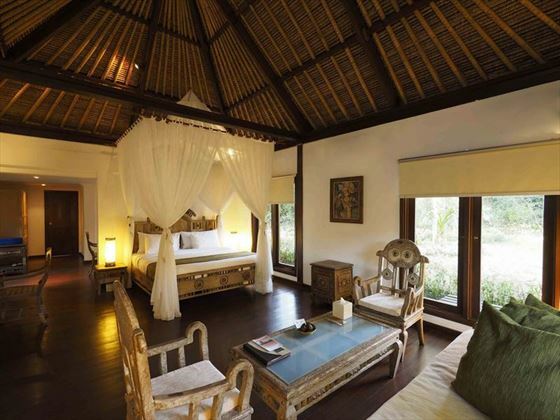 Each bedroom is tastefully fitted in modern Balinese design with elegant furnishings. The spacious kitchen and living room open out to a large outdoor area offering views across the water. 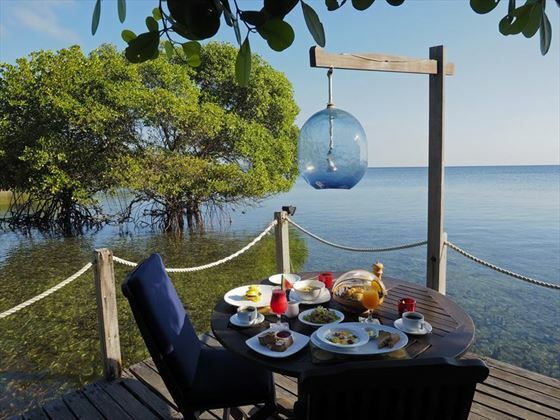 This is the perfect spot to enjoy a barbecue or gourmet breakfast. The expansive private pool is perched along the edge of the cliff affording spectacular views across the bay. Nestled amongst trees with sun loungers surrounding it, the pool is the perfect place to relax and unwind. Enjoy the service and luxury of a 24 hour private bustle to assist with your every need. With spectacular views and luxury in every detail, make The Residence at The Menjangan Resort your first choice for your Bali holiday. Menjangan is a wonderful place for kids, with so much to explore and do its rare to hear complaints of boredom. Enjoy the excitement of snorkelling, glass boat and kayaking. Make use of the double Kayaks where an adult can venture out and teach a child how to paddle and negotiate the bay. Children’s wet suits and snorkelling gear are on hand at our dive centre. 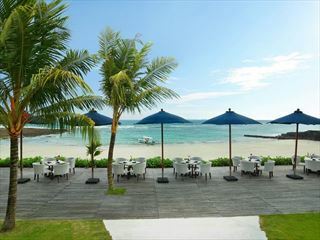 Kids love to explore the beach and the many rock pools with starfish and crabs while you relax on a sun lounger nearby. The jungle safari is another favourite of Menjangan kids, view the jungle at the top of one of our adventure trucks during the day or at night. 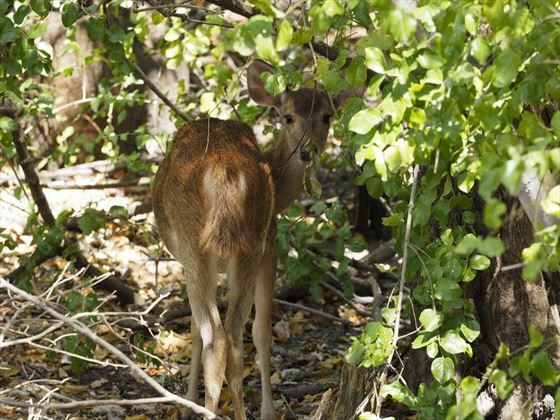 Look in the trees for monkeys, birds and bats, on the ground keep an eye out for deer, wild boar and lizards. Menjangan safari is the best way to see the jungle! The Bali Tower is a one of a kind building. Made from 5 incredible logs, 33 meters long and 80 cm in diameter, the tower reaches above the tree line and offers excellent views across the bay and forest. Open for breakfast, lunch and dinner or for a quiet drink. 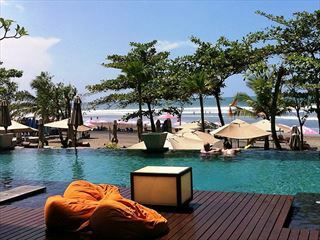 The menu offers a balance of western favourites and traditional Balinese food. With plenty of options for vegetarians and great kids dishes, the Bali Tower has something for everybody.